It was my “light bulb” moment. I thought I couldn’t be the only one in this situation. I wanted to do something to help others discover the power of music and art to achieve improved health and wellness from my experience. I used music from all genres as an integral part of the psychological and emotional therapy. In short, music became medicine, my first line defense against this insidious disease. Through coverage under the Affordable Care Act - Obamacare - Booker was able to seek medical advice for unexplained blood in her urine. She was initially treated for a urinary tract infection but her symptoms returned. An ultrasound and a biopsy revealed the true diagnosis - papillary urothelial carcinoma. The diagnosis came three days after a two–year screening cleared Booker for breast cancer. It was nothing short of devastating. At that moment, she began laying the groundwork for the Jazz Musicians Against Cancer (JMAC) Fund. She created a crowdfunding campaign so she could pay musicians to visit cancer support centers and provide no-cost concerts to patients, their families and friends, and caretakers. She produced the very first JMAC concert on November 28, 2016 in Burbank, California. In December 2016, Booker had surgery to remove her left kidney, ureter and a portion of her bladder. There was a 30% chance of recurrence but she felt that, all things considered, the odds were in her favor. Two weeks after her surgery, she was cancer-free. Because of Obamacare, Booker was going to live and she wanted to use her “NOW LIFE” to help others battling this disease. She began working with the weSpark Cancer Support Center in Sherman Oaks, California, giving talks on the importance of universal healthcare and sharing why she believes music can change the lives of those struggling to overcome cancer. The JMAC fund raises money through on-line donations to its crowdfunding site. It allows Booker to compensate musicians performing at no-cost concerts throughout southern California, instead of asking them to donate their time. The music is presented in a safe space for patients who might have compromised immune systems or be experiencing significant physical changes such weight or hair loss. 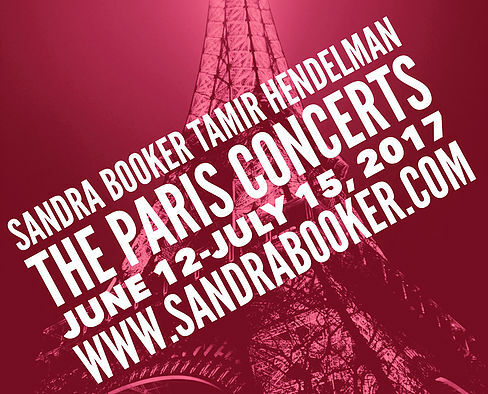 Booker and her musical director Tamir Hendelman began planning a European tour in 2015, for completely different reasons. When Booker received her diagnosis, she and Hendelman decided to make the tour happen with a message that has real meaning and purpose for both of them. JMAC is currently touring in France, Holland, and Germany. Tamir Hendelman and I have worked together on and off for nearly 20 years. I respectfully refer to him as "The Genius" and couldn’t think of anyone else I wanted more to be on this tour with me. 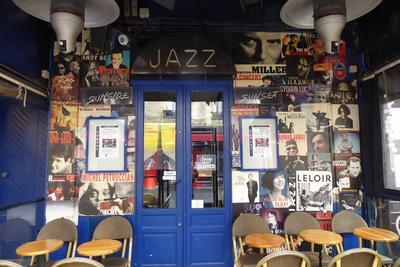 To recruit the musicians for this tour, Booker relied on Paris-based jazz vocalist Leslie Lewis, her husband pianist Gerard Hagen, and saxophonist Mike Ellis. Among those participating in the tour are Nicola Sabato, Germain Cornet, John Betsch, Alex Stuart, Juan Sebastien Jimenez, Acelino da Paula, Michel Julien, Daniel Gassin, and Pablo Campo. She has formed a new trio with Sabato, Cornet and Campo and hopes to bring them to the U.S. next year as part of the Music Is Medicine (MIM) Part II series. The band is called "The French Connection." 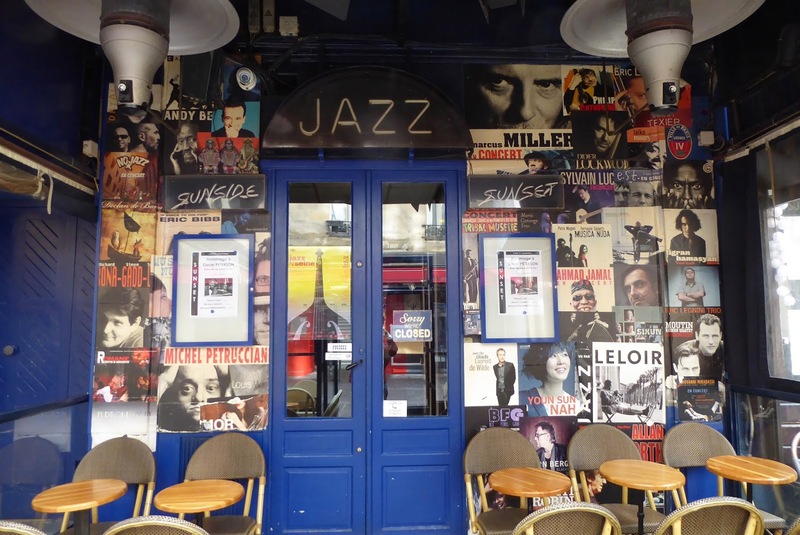 Being born in New Orleans, the birthplace of jazz, I regard Paris as the second greatest jazz city in the world so getting so much support here for JMAC and as an independent artist is a dream come true. The shows, the musicians, and the audiences have been nothing short of amazing! It’s been word of mouth from the musicians and audiences that have given us sold out shows. To have the social message behind JMAC embraced validates all the hard work. We are our brother's and sisters' keepers and I’ve been treated like a favored daughter here. I am proud of the work and friendships being created and humbled by the overwhelming generosity of the people of France and elsewhere. Booker's performances highlight her social justice activism. As part of the 2017 MIM tour, she presented the very first Loving Day concert at L’Entrepot in support of the JMAC Fund. In the U.S., June 12 is Loving Day. It celebrates the love and marriage of Mildred and Richard Loving and commemorates the landmark U.S. Supreme Court case "Loving v. Virginia" that legalized interracial marriage in all fifty states. Booker dedicated JMAC's "Remembrance" performance at Cav du 38Riv to the life and memory of Philando Castile, an innocent black man killed by police in 2016. The officer was acquitted despite the incident being filmed live on Facebook. Booker believes that hatred, racism and intolerance are societal forms of cancer and she uses her work to spotlight the tragedies that continue to polarize the U.S. She believes that jazz music has always had to power to reverse this and has galvanized people the world over. At the time of this writing, JMAC has five additional performances scheduled in Paris. They include the Sunside on July 13, with an expanded band featuring two drummers and a saxophone. Booker will also perform in a special duo concert with Tamir Hendelman (www.tamirhendelman.com) that will feature classical and jazz selections at the Fenix Music Factory in Rotterdam, The Netherlands in association with the North Sea Jazz Festival. Full details are available at www.sandrabooker.com/shows. Booker's crowdfunding goal is to raise $50,000 before the end of 2017 so she can continue to offer concerts across the U.S and in Europe. To support U.S. concerts, visit www.sandrabooker.com/jmac. To support the European tour, visit sandrabookerinparis at GoFundMe. ALL proceeds from the European funding campaign will be used to support the tour to France, Holland and Germany. Expenses include round trip airfare, hotel/lodging, food, inter-continental travel, insurance, VAT fees, and most importantly, an "archival documentary" of the experience. Booker is seeking one hundred and fifty (150) patrons from across the globe to donate $50 to this cause to make her dream a reality for those who are battling cancer. The first 150 donors of $50 or more will be invited to a special online screening of the mini-documentary called "THE PARIS CONCERTS." Sandra Booker's cancer returned two months after her surgery. She currently has Stage III bladder cancer.